But to find the truly novel, one needs to venture off Stroget into the side streets around it and even into other neighborhoods. Copenhagen is fairly small and easily navigable by foot, but the city also has a sleek metro and timely bus system. A City Pass for one, two, three or five days offers unlimited travel on buses, trains and the metro in the central city, and can be bought online before leaving home. That said, Billi Bi is just a few blocks north of Illums at Kobmagergade 27. A favorite of my 20-year-old daughter, Billi Bi has a wide selection of shoes and boots designed to stand up to Copenhagen’s inclement weather and cobblestone streets. Around the corner at Pilestraede 36 is Norr, a store with brands from the Danish fashion company Metropol, as well as other sources. A sort of Anthropologie-meets-Urban-Outfitters, the store sells an eclectic mix of moderately priced clothing, bath and body lotions and potions, jewelry and other items. Shoppers along Pilestraede. Copenhagen is easily navigable by foot. A short three-block walk and a right turn onto Gothersgade will bring you to Lot #29, which, surprise, surprise, is at No. 29. A highly curated collection of high-end men’s and women’s designer fashions is combined with clothes and jewelry designed by the store’s proprietors. It also has a nice garden in back. A bit farther afield at Studiestraede 51 (a 15 -to 20-minute walk from Lot #29), you’ll find Nordic Nesting, a smaller, more contemporary store selling Scandinavian lamps, textiles, furnishings and tchotchkes. There’s some overlap with Illums Bolighus, but Nordic Nesting features wares from many new designers. At the holidays, it has lovely and unusual Christmas ornaments and decorations. Denmark is known for its home furnishings, and if you want to see why, pay a visit to the furniture store Klassik, at Bredgade 3 just off Kongens Nytorv. Klassik sells “original” and antique Danish modern furniture and fixtures, and its showroom floor is a reminder of how sleek and elegant furniture can be. To put your City Pass to work, take a trip to what is officially known as the University of Copenhagen Botanical Gardens, which boasts one of the world’s most extensive and elegant greenhouses. The Botanical Gardens can be an excuse for visiting Torvehallerne, a foodie emporium at Frederiksborggade 21. Home to more than 50 stalls selling fresh produce, meats and fish, as well as prepared goods, exotic spices and coffees, Torvehallerne brings Eataly to mind, only with gravlax, kaffe and open-faced sandwiches. 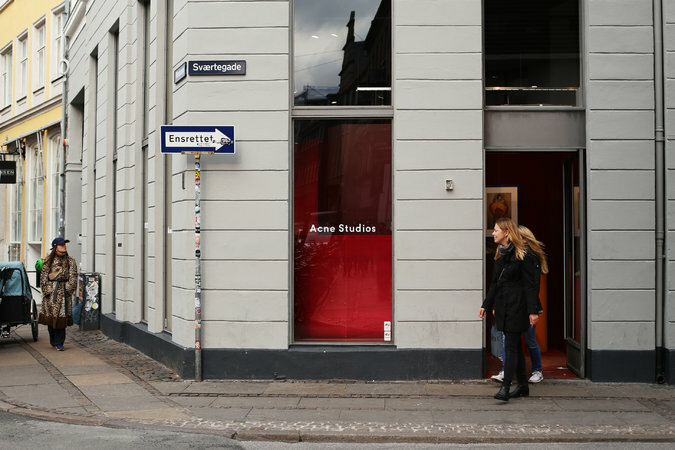 If you happen to be in the harbor area, wander into Studio Arhoj, a design studio at Kigkurren 8M. Originally founded in Tokyo by the designer Anders Arhoj, the studio is a working one, turning out brilliantly colored ceramic decorative pieces as well as mugs, vases, door handles and so on. It also sells paper goods and other items for the office.